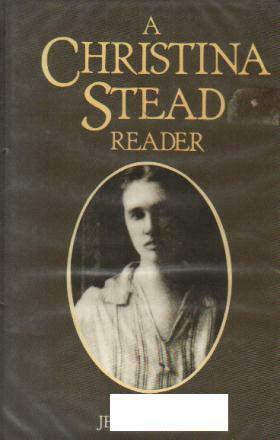 A short note on Christina Stead’s sentences. I’m reading A Christina Stead Reader, by Jean B Read, and note the long, rhythmic sentences that give the sense of riding waves into a sandy romantic beach. Henry had discovered long ago that his fish were temperamental. On certain days, quite apart from the occasional sad twinges lent them by soot, fog or nightfall, the fish appeared to change colour, hourly, and even momently, due to secret and invisible movements of the water, or its animalculae, or to the filtration of light through the plankton, or to the thoughts of those finned images themselves. Sometimes, their bars and mottlings, their scars, freckles and wine marks would glow and burn, redden, blacken, glower: sometimes, the fish would turn paler and the outlines of their beauties fade. A Month at the Beach: Queenscliff Literary Festival. “due to secret and invisible movements of the water” is quite an interesting piece, that the work would relate this secret and make visible the invisible. Very nice. yes, the whole story it’s quite lovely to read.